The RRM Chemplex is a key progression of the RRM Group’s energy complex being developed in Cameron Parish, Louisiana. It is the second mega project being considered for development at their strategic site in Cameron Parish; the first being the G2 LNG Project that is currently under development. The potential Chemplex Project culminated recently with a multi-faceted site visit to the proposed plant location in Cameron, Louisiana. 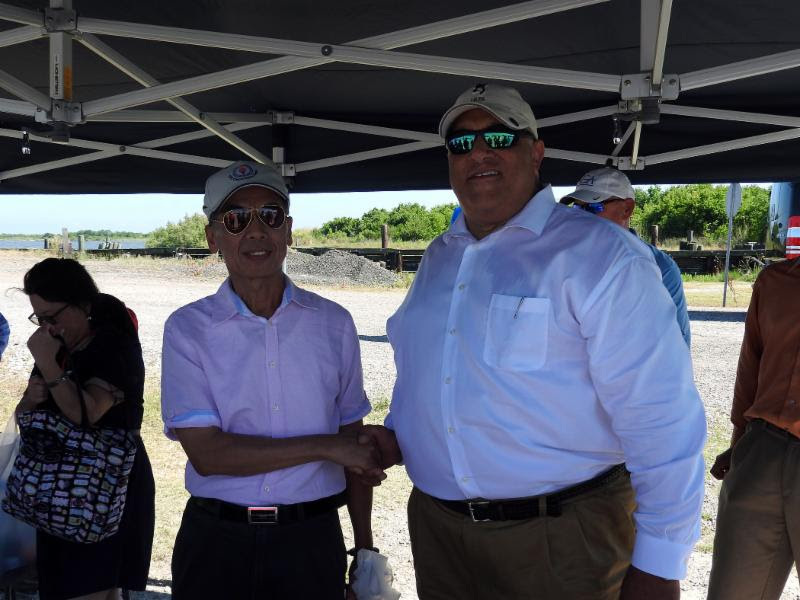 The Taiwanese petrochemical industry leaders representing CPC Corporation and several other Taiwanese Companies are looking closely at the site to locate their Chemplex. They enjoyed an exclusive sit e orientation by surface, waterfront, and air modes in their assessment of the roughly 1,300 acre site. The site is able to accommodate the G2 LNG export facility and a companion Chemplex with multiple chemical processing plants. Taiwan is an East Asian nation of about 23 million people. Ernie Broussard, HGA’s Regional Business Development Manager operating out of Lake Charles, and the entire HGA team, combined with the RRM Group and its’ other partners, hosted the international delegation. Regional elected and appointed officials were also present at the summit, which aimed to strengthen community support and underscore the demonstrable strengths of the site and its immediate proximity to the Calcasieu Ship Channel and the Gulf of Mexico. The combined projects are earmarked at $23 B, which would be the largest project in Louisiana’s history. RRM Group CEO Tom Hudson speaks to delegates of the Taiwanese petrochemical industry in Cameron Parish. RRM Group is owned by Louisiana natives and headquartered in Baton Rouge. Thomas Hudson, CEO of RRM Group, has assembled a globally recognized technical team to develop this energy complex in South Louisiana. During the site visit, the tour team provided their guests with afternoon helicopter and boat site tours and catering featuring some of Louisiana’s finest Cajun seafood. These tours were in-depth, informative and allowed the delegates to visualize the massive scope of the project. These projects will maximize the export value found in the abundant supply of lower cost, cleaner burning natural gas available across much of the United States, including the US Gulf Coast.